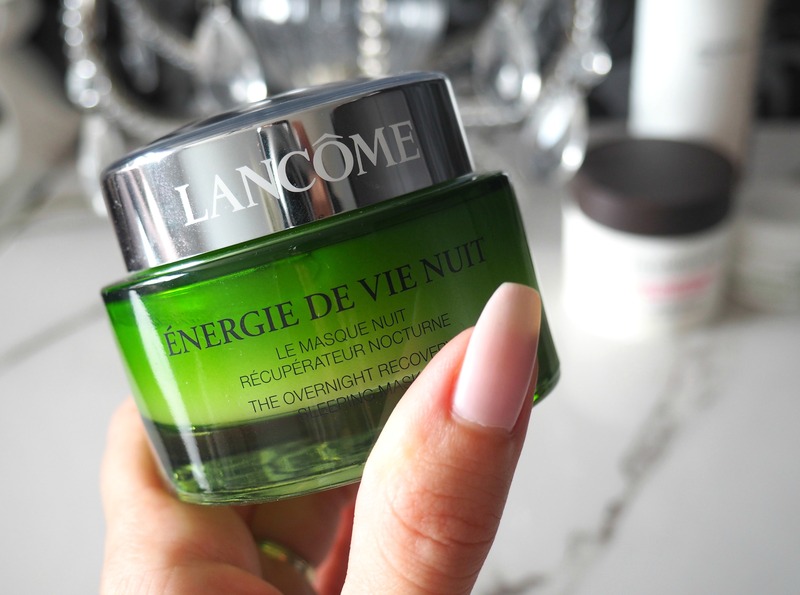 You’ve probably all heard about the new Lancome Énergie De Vie skincare range as ever since it came out there’s been rave reviews about it 🙂 There are three products in the line including the Énergie De Vie Liquid Moisturiser, Wake-Up Lotion and Overnight Sleeping Mask. I have been using the Overnight Recovery Sleeping Mask*, which is a really beautiful product, nothing I’ve ever tried before. It’s lightweight but super hydrating mask that you leave on overnight instead of your night cream. I don’t normally like overnight masks as they can get a bit messy and flaky and go all over my pillow but not this one. I have been using it whenever my skin is feeling a little dry or dull and it has been working wonders for me. It has a light gel texture which sinks into my skin really nicely without being too thick or greasy. I’ve been waking up fresh faced and I’ve noticed my skin looking smoother and more plump. 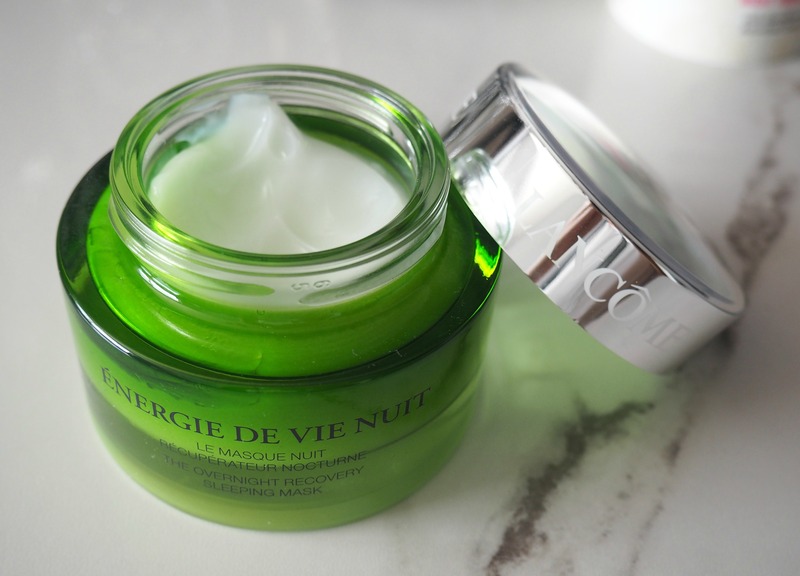 The Énergie De Vie Sleeping Mask comes in a beautiful packaging, it’s a luxury product that works really well and I would highly recommend it if you want to treat yourself or someone special who appreciates quality skincare. This product is also packed with some amazing ingredients including Goji Berry extract and Lemon oil which really help to get that healthy glowing skin. When my skin needs a pick me up I always reach for it in place of my night cream. It smells amazing, such a lovely fresh scent. If you don’t like the idea of sleeping in a mask you can just leave a generous amount on for 30 minutes, it will still give your skin a hydration boost. It has really become a staple in my skincare routine and I have been using it religiously about 3 to 4 times a week.